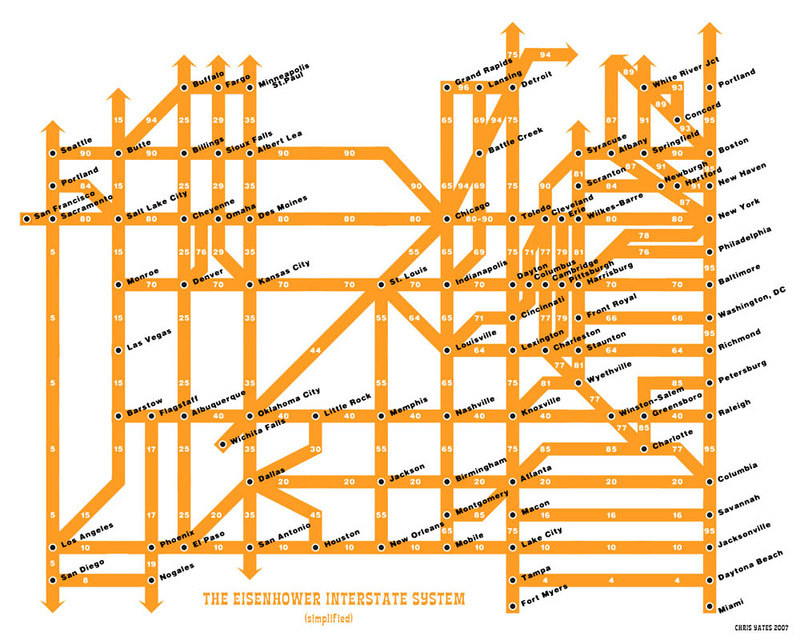 What if the highways were a subway system? www.chrisyates.net has a very nice image of the interstate highway system map simplified like a subway system. 3G is better than EDGE for me! This entry was posted in Commentary by Jay. Bookmark the permalink.